Drug overdose is now the leading cause of death from unintentional injury in the U.S., and most of these deaths involve an opioid, according to a report by the National Academies of Sciences, Engineering and Medicine. To reduce the growing number of deaths related to both prescription opioid overuse and illicit opioid use, a new report determines it will take years of sustained and coordinated efforts by physicians, patients, federal and state agencies and the public to curb the opioid epidemic. The findings were released by the National Academies of Sciences, Engineering and Medicine earlier this month. Drug overdose is now the leading cause of death from unintentional injury in the U.S., and most of these deaths involve an opioid, according to the report. As of 2015, two-million Americans ages 12 or older had an opioid use disorder or OUD involving prescription opioids. Nearly 600,000 had an OUD involving heroin. Based on these staggering statistics, the Food and Drug Administration (FDA) launched an Opioids Action Plan in 2016, asking the National Academies of Sciences, Engineering and Medicine to convene a committee to review the science on pain research, medical care and education, and to identify actions the FDA and others can take to respond to the crisis. Made up of 18 experts in medicine, law, public health and other specialties, the committee was tasked with looking at two public health challenges. 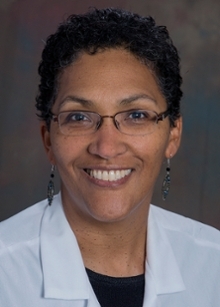 Anne Marie McKenzie-Brown, MD, associate professor of anesthesiology at Emory and director of the Emory Pain Center, located at Emory University Hospital Midtown, was selected to be a part of this committee. For almost a year, she has been meeting with the other committee members every few months in Washington, DC, to compile the report. 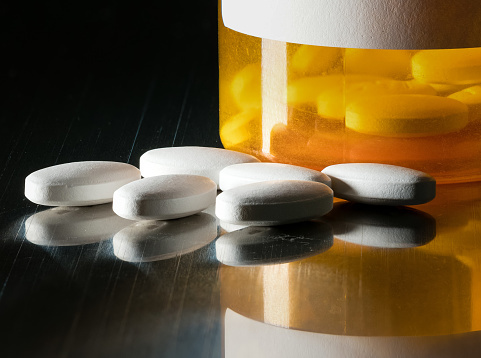 "The FDA asked us to balance the need for pain relief while contrasting the growing problems related to opioid overuse and abuse," says McKenzie-Brown. "Focusing on the individual benefits versus the risks of prescription opioid use is going to take a culture change. We found we not only need to look at the way physicians treat pain, but also at patients' expectations in the way their pain is managed." McKenzie-Brown also says it is important for physicians to look at alternatives to opioids for pain relief, which include a broad variety of non-opioids and non-pharmacological therapies and treatments. These alternatives often have the same or better results, without the risks and side-effects of opioids. Encouraging public and private payers, including insurance companies, to develop reimbursement models that support evidence-based and cost-effective comprehensive pain management, including both drug and non-drug treatments for pain. "The committee realizes there is not a 'one size fits all' option for non-opioid treatments and other interventions to curtail pain; however current evidence does not support opioids as the first treatment option for chronic pain," says McKenzie-Brown. McKenzie-Brown goes on to say, "Our understanding of opioid use disorder is far from complete. We need better tools for identifying those at risk for development of and effective, affordable treatment options for those with opioid use disorder." The report shows that more research is needed to better understand the neurobiological interaction between chronic pain and opioid use, and what has driven our society into the opioid epidemic of today. "This report gives us a detailed map to begin our journey," says McKenzie-Brown.